Siddaramaiah Karnataka Chief Minister: "Defeat Those Wanting To Change The Constitution"
In his Republic Day message broadcast on local Doordarshan and All India Radio, he paid tribute to Dr BR Ambedkar for giving the 'best' Constitution in the world. 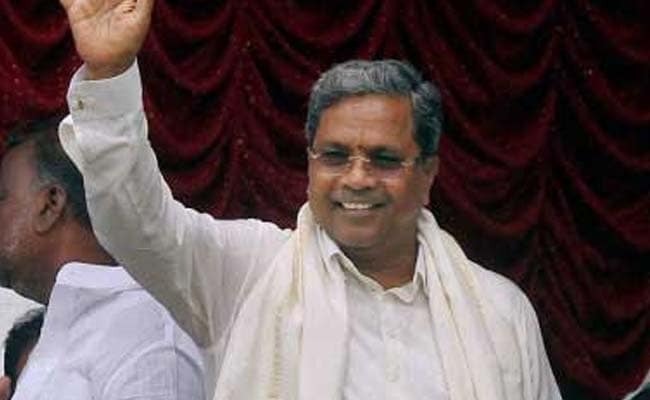 Bengaluru: Karnataka Chief Minister Siddaramaiah today made a veiled attack on union minister Ananth Kumar Hegde over his recent controversial remarks on the Constitution and said all those who love democracy should come together and "defeat such elements". "Constitution is the soul of this country. The country will be lifeless without its soul. We have been hearing that some people want to change the Constitution. All those who love democracy should come together and defeat such elements," he said without naming anyone. He was apparently referring to Mr Hegde, Union Minister for Skill Development and Entrepreneurship, who landed himself in a controversy with remarks on secularism and changing the Constitution. Speaking at a function last month, Mr Hegde had reportedly made certain remarks about secularism and that his party had come to power to change the Constitution. With the remarks leading to an uproar both inside and outside Parliament, the minister had later tendered an apology but said his speech was distorted. Mr Siddaramaiah said each citizen was duty bound to respect the Constitution which "ensures equality, justice for all and equal opportunities."